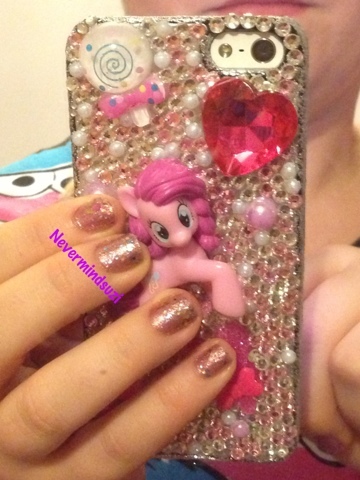 So Christmas isn't long over and I had to show you the AMAZING phone cover one of my lovely friends got me! 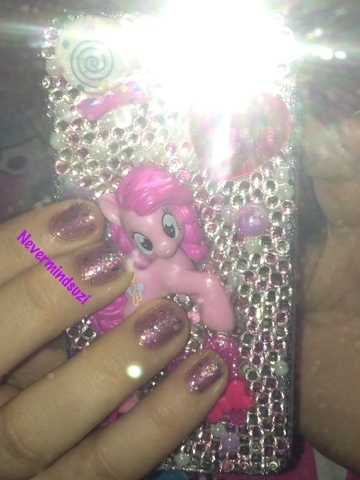 Even her hubby said it was "so me!" 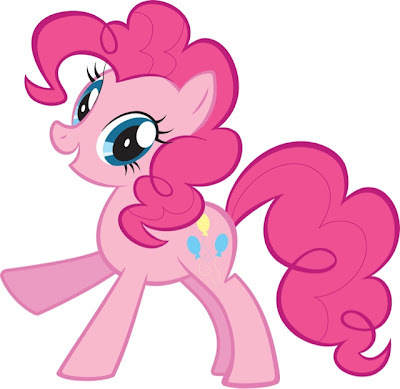 It's Pinkie Pie from My Little Pony Friendship is magic. If ever I was a ok t it would be her as we're both completely hyper!! 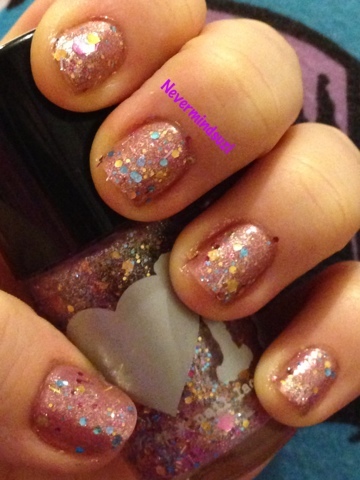 A while back when Rainbow honey first launched the brought out an amazing glitter Equestria Collection and Pinkie Promise was one if those polishes. 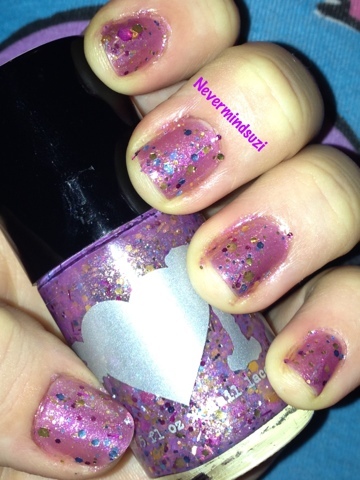 I used 1 coat of this over 3 coats of Sally Hansen Nail Prisms - Lilac Aqua. 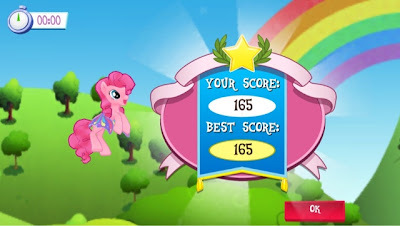 Are you a My Little Pony fan?